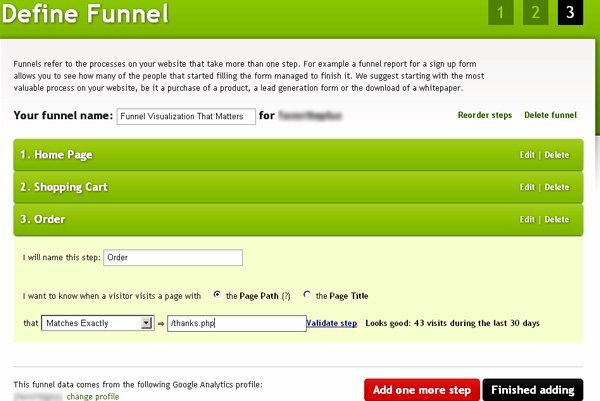 To segment and test funnels I have been using a special tool called PadiTrack for the last few years. Sorry for writing about it so late. This tool pulls the data directly from your Google Analytics account and is 100% free to use. I rarely look into the funnel visualization reports of Google Analytics. This is because they have become obsolete in my world. I can’t wait for days and weeks for the data to populate first so that i can carry out some meaningful analysis. I want to create funnels on the fly and instantly get what i am looking for. Step-1: Sign up on PadiTrack website. Note: You don’t need to install anything on your website to use this tool. All you need is an access to your Google Analytics account. Step-2: Since paditrack pulls the data from Google Analytics, you need to connect the paditrack account with your Google Analytics account. Step-5: Now you will define your funnel. 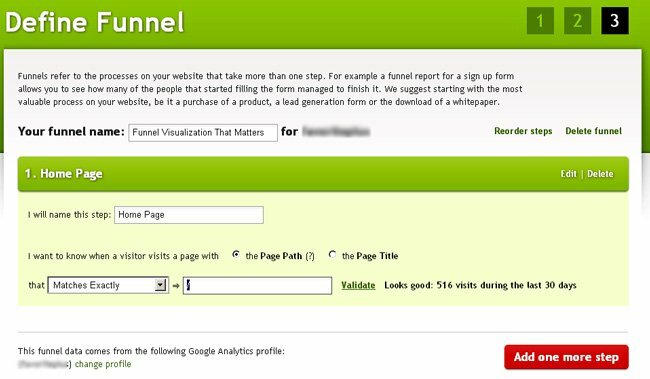 You define your funnel steps in the same way you define funnel steps in your Google Analytics account. 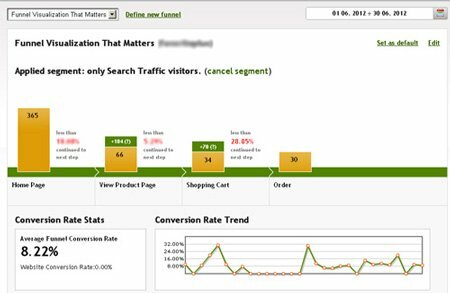 Here I have created a funnel called ‘Funnel Visualization That Matters’ and have defined the first step of the funnel which is visit to the home page. I clicked on the ‘validate’ link to make sure that I have set up the funnel step correctly. If you compare Fig.1 to Fig.2, you will immediately notice that there is huge data discrepancy between the traffic coming to the home page. In Fig.1, 8266 visitors came to the home page. Whereas in Fig.2 only 525 visitors came to the home page. This is because in Fig.1 the first funnel step was set up incorrectly. The 8266 visitors were the total visitors to the website and not just to the home page. 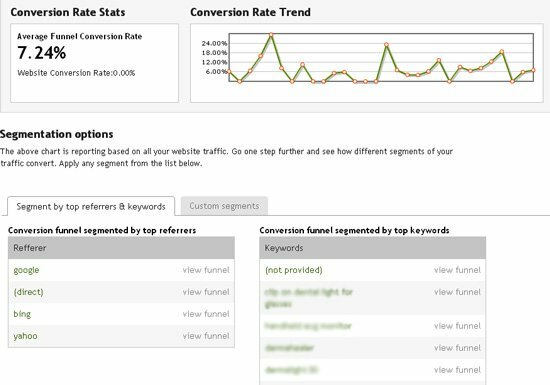 Another awesome way to set up correct funnels is by looking at the ‘Reverse Goal Path’ Report in Google Analytics. Through this report you can determine the actual navigation paths that triggered goal conversions and how many conversions each navigation path triggered. 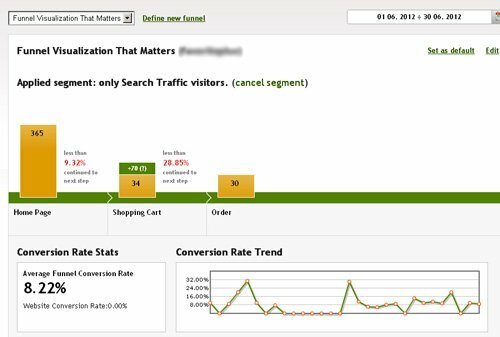 The navigation path that has/is triggering maximum number of conversions should be your conversion funnel. According to Fig.1 website got 39 orders. But according to Fig.2 website got 38 orders. Why this data discrepancy? whenever you are comparing the data from multiple data sources, focus on trends and not on the actual numbers. 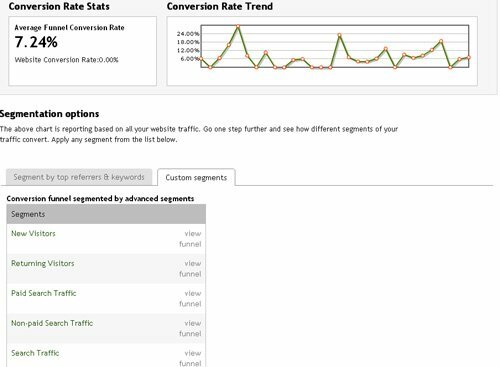 You can now see the segmentation options which you can use to segment your conversion funnels. The custom segments in PadiTrack contain both default segments and custom segments of your Google Analytics account. Now if we compare Fig.2 with Fig.4, we can easily determine that out of 525 visitors on the home page, 365 visitors were search traffic visitors. Majority of people who went to the shopping cart page and who made a purchase were search traffic visitors. So now we know that we need to focus on search traffic. You can apply other advanced segments like paid search traffic to determine what percentage of search traffic that is coming to the home page is from PPC. Similarly you can apply several other segments to determine the contribution of other marketing channels in the overall ‘drop off’ from one funnel step to the next. 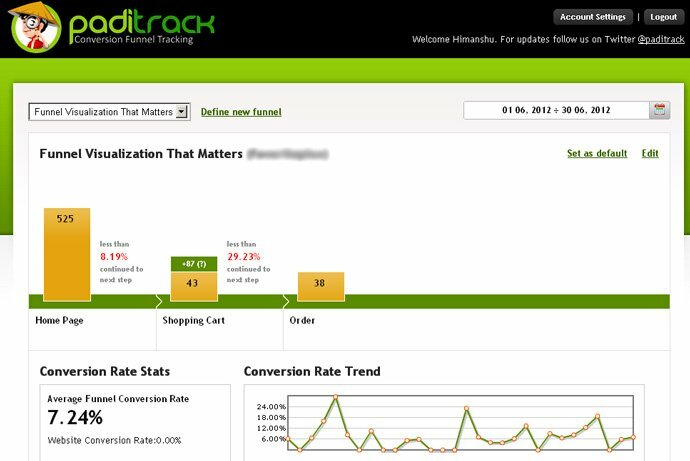 The other big advantage of using paditrack is that you can add/remove funnel steps on the fly to understand and optimize your conversion funnels. Now we can see the biggest drop off is between the home page and viewing a product page. The usage of this tool is only limited to your imagination.